Palamós is the chosen city for family stays for its central location 1H from BCN airport, 30` from Girona Airport and also as a fisherman village, it has a lively cultural activity and a fantastic beach. It offers the opportunity to enjoy many outdoor activities, like hiking trails, inland and coastal, and the town has a cultural program including some fun activities for the younger members and for everybody to enjoy. From Girona Airport/train Station we’ll drive to Hotel in Palamós. Your guide will accompany you to your Hotel and fill you in with all the useful information on the area to help you settle in to your new holiday destination. The best option to discover the secrets of the region is by foot. From the hotel, our walk takes us along the coast, discovering coves, sandy beaches and the ancient history of the trail, full of castles and fishermen’s huts. The route along coastal paths is signposted and suitable for all ages. At the end of the walk, arrive to the Restaurant located in an old fortified Farmhouse. It’s time to indulge in the local gastronomy. Day 3- Fishing Museum / Beach time/ Tapas. Head down to the harbour for a visit to the fascinating museum of the art of Fishing. As the main economic activity of the town, the museum is very fun, educational and local. Also recommended the bistrot of museum for the catch of the day. After, time for beach, siesta or walk through the essence of old Palamós and discover its history, local shops and tapas bars! OPTIONAL: Pirate sailing excursion on the Barbarrossa corsair galleon, one and a half hour journey sailing through the stories of the bay. Children are given a pirate’s scarf. Time to relax by the pool, the beach, take a bike ride or kayak, also walking trails nearby to be suggested. Next to Palamos, visit Platja d’Aro, with amusement and water Parks. Optional visit to Girona, with local guide to do a walking tour through the Old Town, entrance to the Cathedral included, as well as the archaeological park and Old Fortified Walls. Time to visit the city locals market and try some tapas in the local terraces. After some free time, return to Palamós by private bus. Short transfer from the coast to the interior, through the Empordà región, to visit the Mediaval Towns of Peratallada and Ullastret where after a walking tour you will have time for self Discovery and lunch. An Optional way of visiting the same towns is by joining an electric bike ride, which also includes apple farm fields. We will drive to Dali`s home town for a walking tour and visit of his Theatre – Museum, the most fascinating museum in Spain with all his “surreal” work. 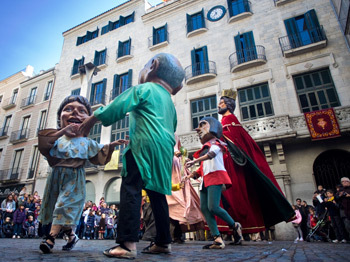 Also in Figueres, we will discover the unique toy collection museum located in the city centre. Time for self Discovery and lunch. 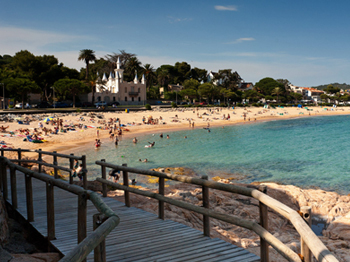 Return to Palamós early to enjoy the afternoon by the beach. Meals: Breakfast and farewell dinner at the Hotel. This morning we drive back to Girona for train and airport departures. The accommodation chosen for this program is a 4*central hotel in Palamos, with wide rooms, also connecting rooms for families, great breakfast and also great value local restaurant. It has all amenities, game room and swimming pool. It is located in front of the beach on the promenade. It is the perfect location for a relaxing but fun family stay. 7 night accommodation in 4*Hotel with buffet breakfast included. Half Day Excursion on coastal walking trails and 3course meal with drinks included. Full day Excursion in Empordà, Mediaval towns, with private transfer and guide. 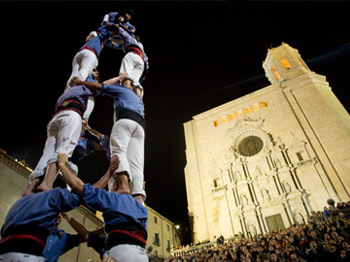 Full day Excursion in Figueres with entrance tickets to Dali Museum and Toy Museum. Farewell dinner of 3 course meal with 1 drink included at the Hotel. Rep assistance upon arrival and within reach during the stay. This tour runs anytime of the year, BUT has a minimum of a family of 4. Please ask for price if your party is smaller, or you are a group, special price applies. Optional tours can be pre-booked or on the spot.